I had butterflies in my stomach as I walked into the exam room. They made me leave my notes, my phone, and even my watch, outside. I had not taken a serious test like this since my college days. 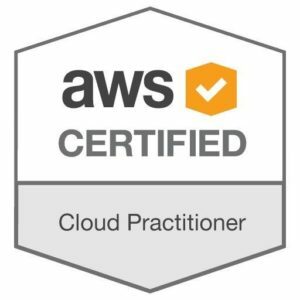 But I emerged, forty-five minutes later, smiling – I had passed the AWS Certified Cloud Practitioner exam. 1. You don’t need to be a hard-core technologist. The exam covers functional areas such as cloud advantages and total cost of ownership. It does ask a lot of questions about AWS services, but they are more about what those services do versus how they do it. 2. Amazon provides free training materials, but I found the resources on A Cloud Guru to be better. There’s a nominal cost, but worth it. 3. Look over the materials the day of. I crammed in the car just prior, and am glad I did. It was good having all the material fresh in my mind. Have you taken this exam? What are your best study tips?